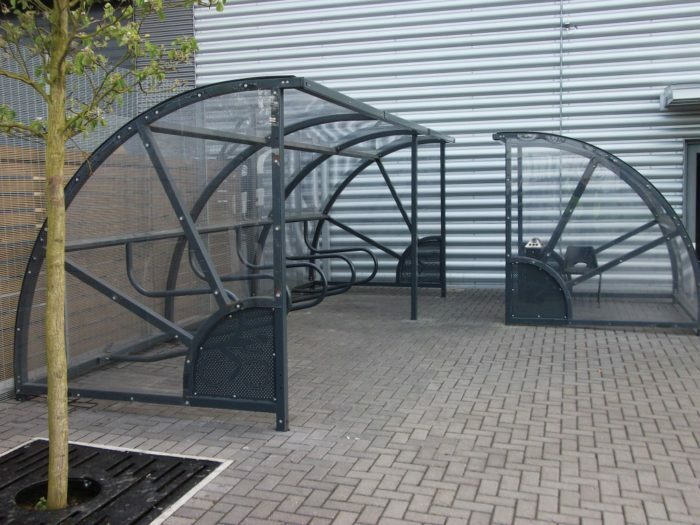 The Circo Modular System can be the answer to almost any cycle parking requirement. 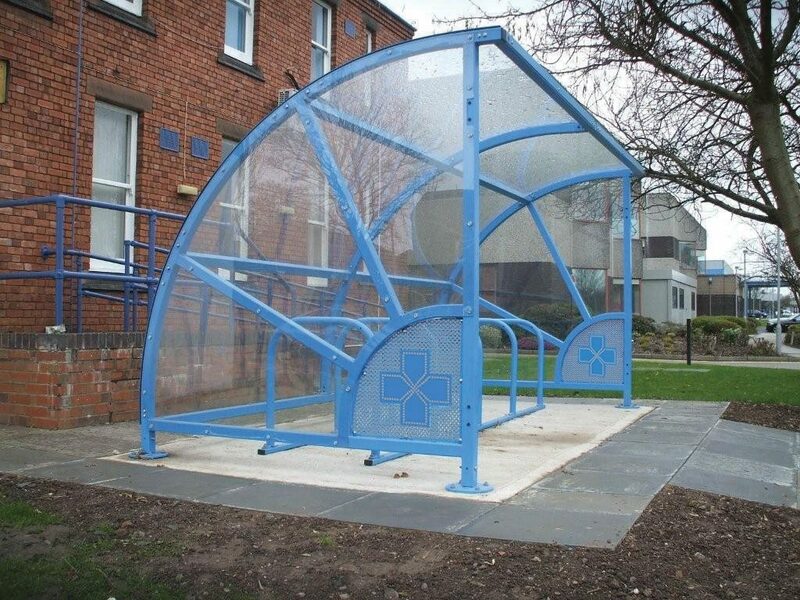 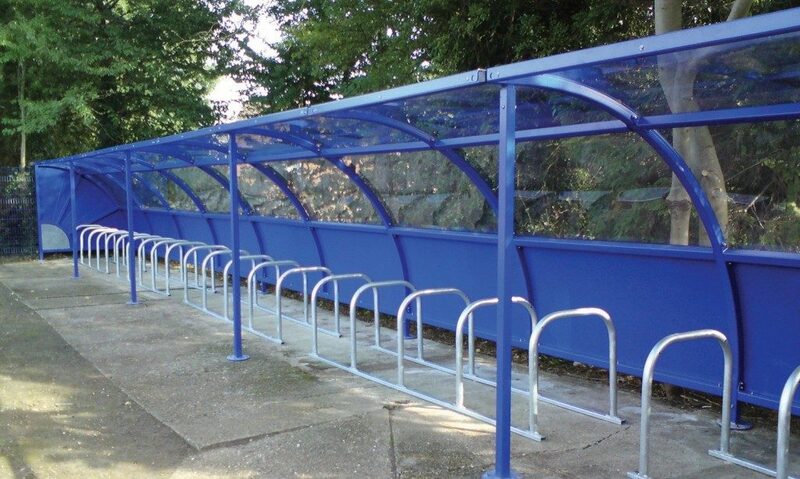 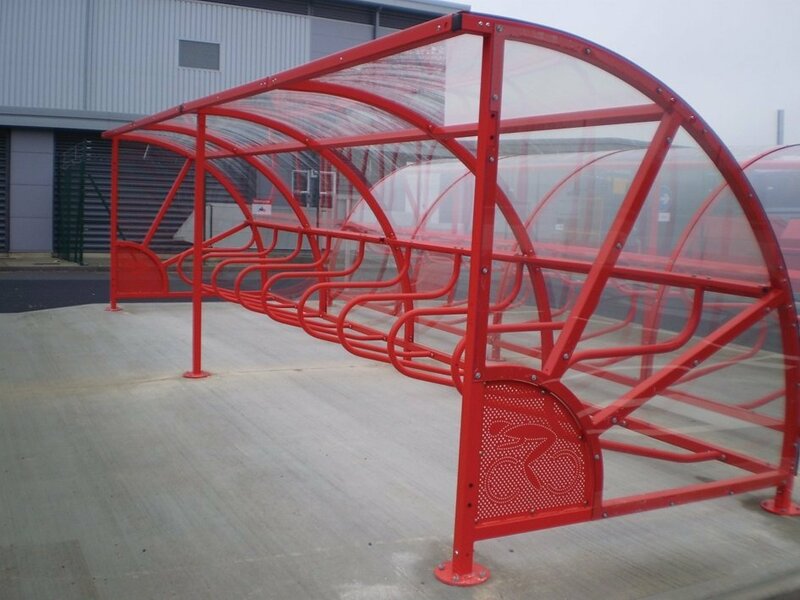 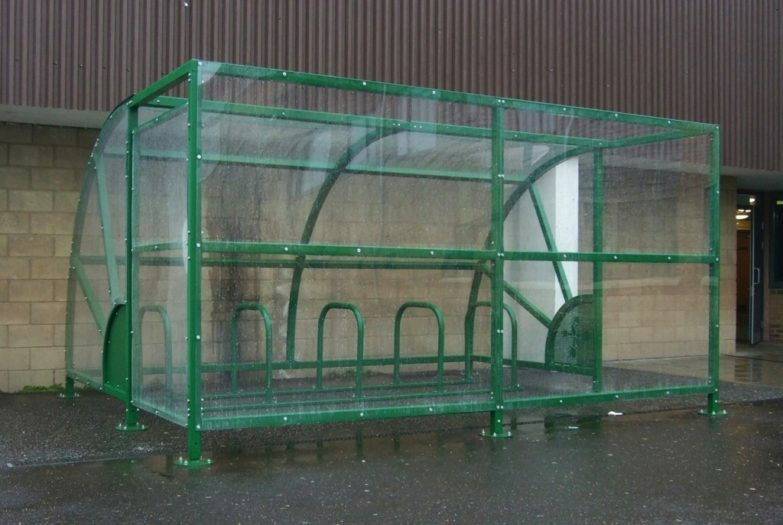 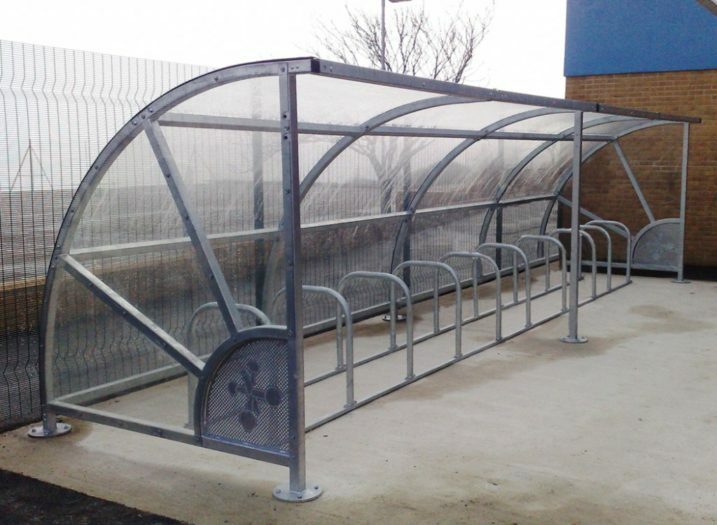 Providing shelter in an office or school environment to public buildings such as hospitals, who want to provide their staff and visitors with a high quality shelter to store their bikes safely and securely protecting them from the extremes of the British climate! 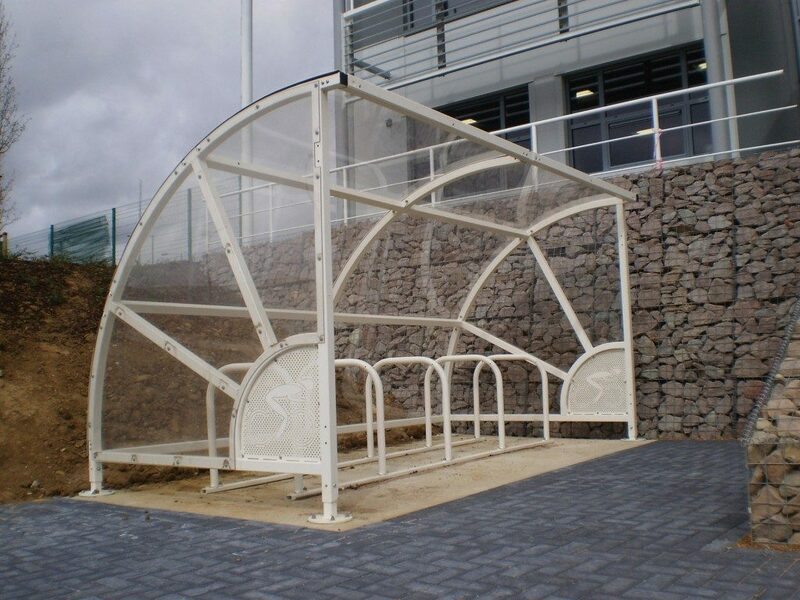 We have a comprehensive range of shelters designed to compliment and enhance its surrounding environment. 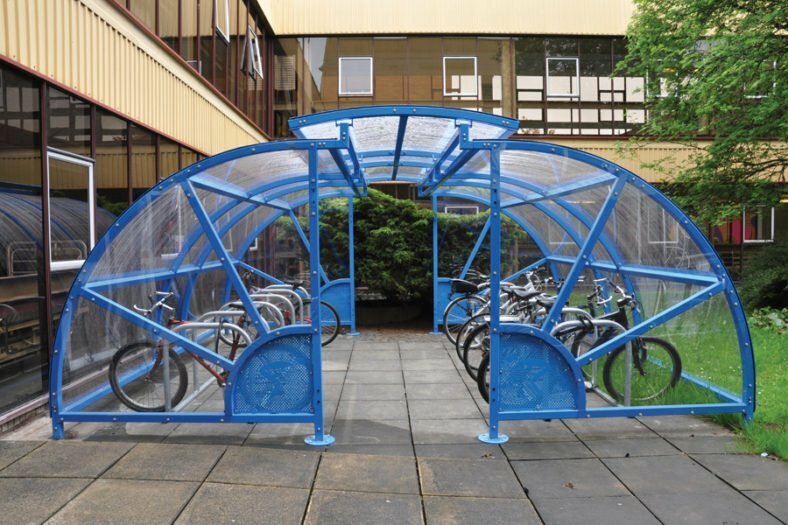 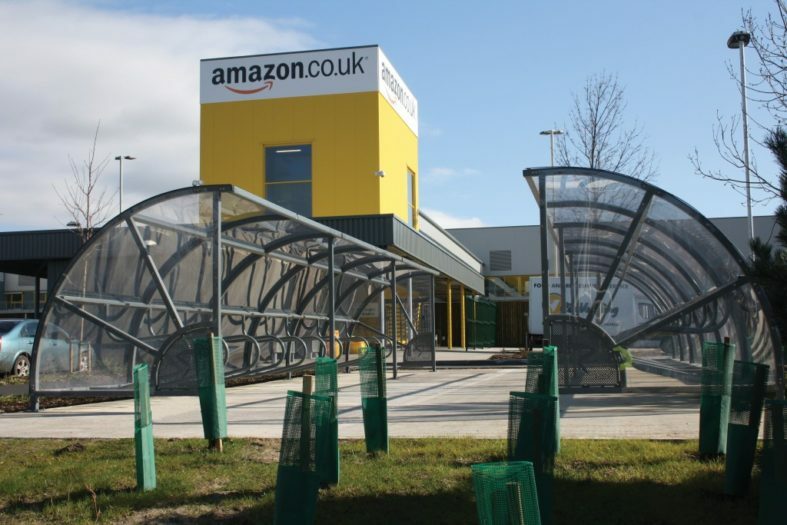 Built up from the Circo 90 quadrant base unit, inline and compound configurations can be created to provide secure parking for 10 to 100 plus cycles. 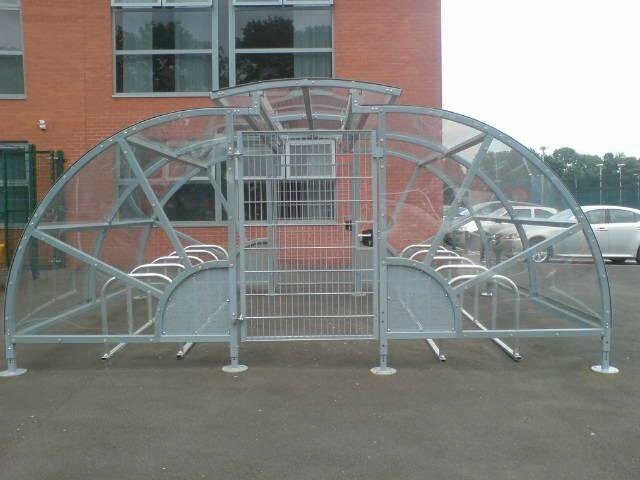 A roof, gates and fixed panels can all be chosen either at the time of purchase or retro fitted at a later date, and furthermore all this is available from IAE’s Range. Senior and Junior hoops are available, in toast racks ranging from 2-5 hoops, alternatively IAE’s unique integral hoops can be used. Hoops are spaced at 800mm centres as standard but can be supplied 1000mm gaps between hoops for compliance with BREEAM guidelines.